SoFi Personal Loan Review: Got excellent credit or high potential to earn? A SoFi personal loan may be right for you. SoFi aims to lend to HENRYs, a term is uses to define borrowers who are High Earners Not Rich Yet. If you just graduated from an Ivy League school or plan to be a doctor or lawyer, SoFi may be an excellent alternative to other lenders. The company offers competitive rates to borrowers with good credit. You don’t need to have a huge income yet, but you probably will need to have the potential to earn a lot in the future. If something goes wrong during the payback period, SoFi offers forbearance and tons of other benefits to the lucky ones who qualify. 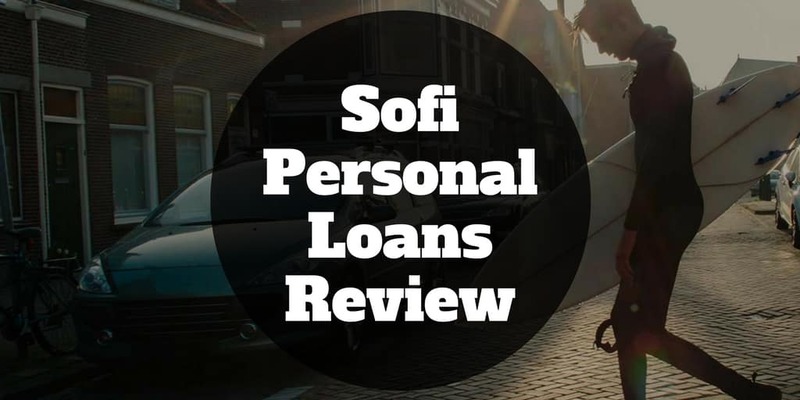 To see why this lender earns top ratings, you’ll want to read this SoFi personal loan review. Why Choose SoFi Personal Loans? SoFi Review: How Does It Compare? SoFi Personal Loans provides loan amounts between $5,000 and $100,000 that you can use for practically anything, including medical expenses, college tuition, home improvements, and debt consolidation. Before you accept money from SoFi Personal Loans, though, you should learn about some of the company’s features to help you decide whether it has the right services for you. SoFi personal loans only accepts loan applications from people with credit scores of at least 680. The company prefers scores of 700 or higher. If you don’t have a good credit score, then you should look elsewhere for a personal loan. Most of SoFi’s borrowers earn about $100,000 per year. The lender will work with you as long as you make at least $45,000 a year. Don’t expect to get the best interest rates unless you earn a large income. If you have excellent credit, then you can get a fixed interest rate as low as 5.99%. Without excellent credit, you may have to pay a fixed interest rate up to 16.49%. Borrowers willing to accept variable rates may pay as little as 5.74%. Variable rates from SoFi can jump to 14.6%, so you take a risk when you choose this option. Losing your job can make it impossible for you to repay loans. SoFi helps you avoid late fees by letting you apply for forbearance. You can qualify for up to 12 months of forbearance, but you need to reapply every 3 months. SoFi lets you change your payment date at any time. If you know that you can’t make a payment by its deadline, just change the date. Also, SoFi won’t charge overdraft or missed-payment fees. You can earn up to $6,000 by sharing SoFi with the people you know. When someone takes a loan after using your unique link, you make $300. The new borrower also gets rewarded with $100. SoFi personal loans tends to work best for people with excellent credit scores and high incomes. The company offers so many benefits that it makes sense for you to apply for a loan even if you barely meet its requirements. Borrowers get access to low rates and an active community of like-minded individuals. When you borrow with SoFi, you get much more than a loan, you will feel like you’ve joined an exclusive community of go-getters. Where SoFi stands apart from most lenders is by combining a sense of community with lending. What traditional lender promotes a collaborative community? It’s hard to think of any yet SoFi has successfully built a vibrant, engaged community of borrowers. Borrowers and SoFi staff correspond regularly on topics that range from SoFi loans to personal finance. SoFi members frequently post questions and answers about lending rates and taxes, as well as personal stories about paying off debt that can inspire others. And SoFi doesn’t just foster an online presence. The offline social networking opportunities at SoFi are impressive too. Borrowers are invited to private dinners where they can meet other community members. SoFi hosts regular events to educate members on financial matters, such as buying a new home, as well as regular fun events, like attending a ballgame. From our research, borrowers are so pleased with SoFi that some even complain when they don’t receive swag such as SoFi-branded t-shirts and caps as fast as they expected. What other lender has borrowers clamoring to promote them by wearing their brands on t-shirts and caps as they go about their day-to-day lives? And that’s all in addition to competitive rates that few rivals can offer. Personal lending rates are generally much higher than the typical APR charged by SoFi. SoFi looks beyond traditional risk measures to evaluate whether you are a good fit for a personal loan. If you graduated from a top University and have a promising career trajectory, you stand a better chance of being approved than if you meet national averages for income and education. Unlike an old school lender that may look narrowly at your FICO® Score when making a decision to approve you, SoFi pays close attention to where you went to school as well as to your income level. Borrower default rates by applicants who graduated from top tier schools tend to be lower than those who graduated from online universities, and so the chances of receiving approval increases if you earned a degree from say a school like Harvard or Stanford. Like other lenders, SoFi will evaluate your income and place of work before issuing you a fixed loan rate which can start as low as 6.79% with auto-pay and rises up to 15.49% with AutoPay. As you might expect, SoFi is stringent about documentation and will ask for proof of income and may even require proof of graduation. Once approved, you can set up disbursement details and sign acceptance documents online. SoFi personal loans can be fixed rate or variable rate loans starting at Libor rates plus margin of 1.47%. SoFi has little competition but CommonBond and Earnest when it comes to student lending. Few lenders compete in the same league as SoFi. While most lenders cast a wide net, inviting borrowers with a range of credit histories to apply, and then charging high rates to high-risk borrowers, SoFi targets super-prime borrowers who are very unlikely to default. CommonBond, LightStream, and Earnest are among the very few competitors that SoFi faces when it comes to student lending but SoFi is rare in providing personal loans too. Like SoFi, CommonBond promotes a community feel too. LightStream differs because it requires a longer credit history than SoFi, who is willing to take a risk on a borrower with shorter credit history if they have a solid career trajectory and earning potential. Personal loan rates at LightStream also vary based on the use of the loan, whether kitchen remodeling, buying a boat, or consolidating debt. Earnest is willing to lend to borrowers who don’t have much of a credit history, charges no fees, and also has flexible payment terms. SoFi charges no hidden fees, offers low rates for personal loans, and has a fast application process, though you will generally need to have above average income and very low risk of default to be approved. ✅ Low Rates: Personal loan fixed rates start at 6.79%. ❌ Limited Approvals: Borrowers with great credit and above average income stand a higher chance of approval. ✅ Autopay Interest Rate Deduction: Borrowers who sign up for autopay receive a 0.50% annual discount. ❌ CoSigner Support: SoFi does not permit co-signers. ✅ Fast Application Process: You can get approved in as fast as 7 days. ✅ Community Perks: Career advice, community dinners and events, and online community forums are among the perks available. ✅ Personal Loan Amount Range: $5,000 → $100,000. ✅ No Origination Fees & Prepayment Fees: You won’t pay any origination or prepayment fees with SoFi but late fees do incur penalty charges. When it comes to personal loans, SoFi is about as good as it gets. Low rates, no hidden fees, and a loyal community of borrowers who are eager to share information and meet up both offline and online are just a handful of the many benefits. Borrowers will be put through the hoops so-to-speak to make sure they qualify for what feels like an exclusive community who made it into the inner circle. If you don’t have an income approaching $100,000, excellent credit, and a solid educational and career pedigree you might find it a struggle to get approved by SoFi, but if you get past the high hurdle of acceptance, you’ll be spoiled with invites to events that improve your financial knowledge and may even be invited to events that co-founders attend from time to time. Where else can customers meet the founders of billion dollar companies in an exclusive setting? The bottom line is getting approved for a SoFi personal loan isn’t a slam dunk but for those who qualify, the rates, low fees, and perks are hard to beat. And it doesn’t hurt that the application process is online and fast so you can get access to funds quickly. ‹ Allstate Renters Insurance Review – Save Up To 25%!